Another good turnout for our annual celebration of Christmas with a run around Hayes, which received a great reception from passing motorist and the local public through the town centre. This year we did an impromptu visit to Asda Store, to the delight of the children and amusement of parents to see twenty fancy dressed people singing Carols running through aisles. 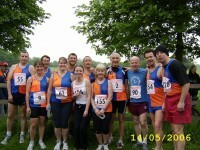 Hayes and Harlington Road Runners was founded in 1986 and has specialised in distances from 5K to the Marathon ever since. 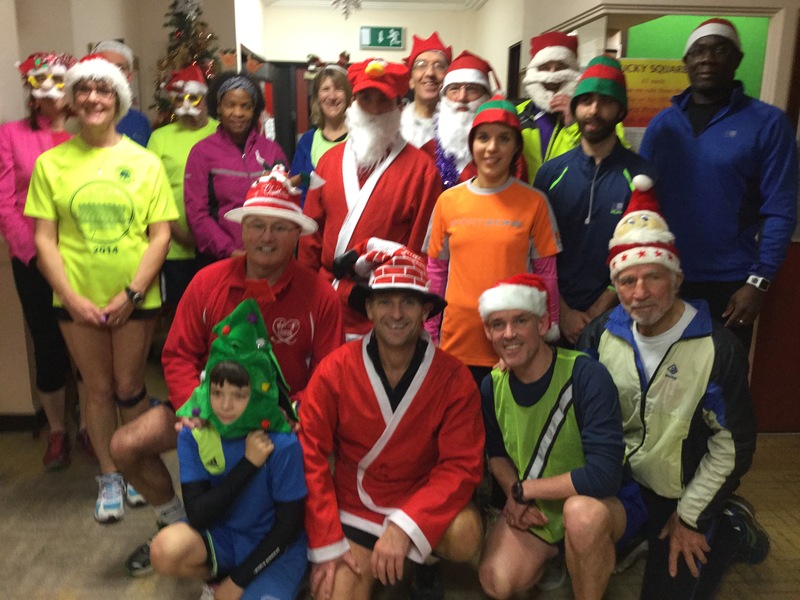 Our primary interest remains road running but we also enjoy trail running, the occasional multi-terrain event and also Cross-Country. We are affiliated to UK Athletics, Middlesex County AAA and SEAA welcoming male and female runners from the age of 18.